Achievement tests demonstrate that St. John students repeatedly score above average grade level based on national standards. Achievement testing is conducted each year in the spring for grades Kindergarten through 8th grade. 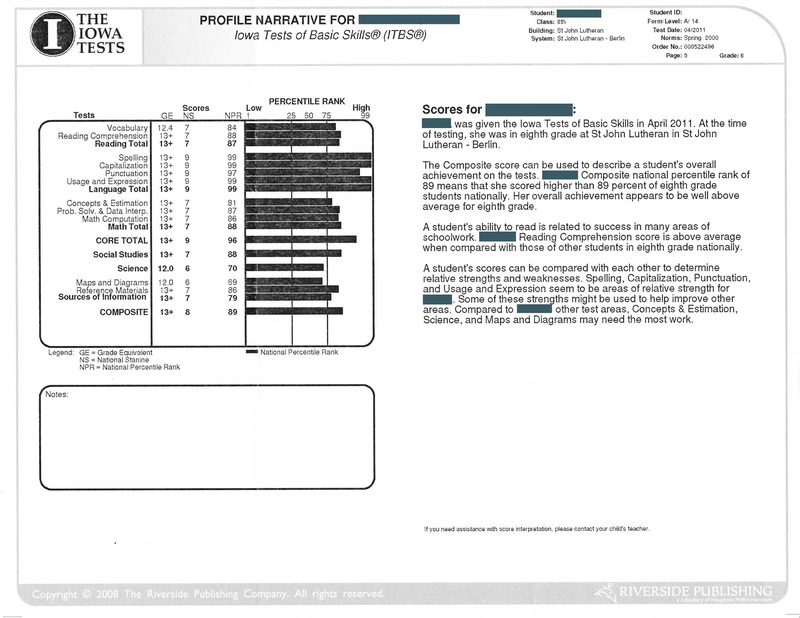 Test results are used to gauge the performance of teachers and students alike. Teachers and parents get the reassurance that their children are succeeding. Areas that may fall short can be remedied with additional tutoring or summer study. Click on the sample student test report below to view the scope of the examination and how the results are compiled. *This is an actual test report. The identity of the student has been removed. Seven out of 10 St. John graduates consistently achieve honor roll status and outperform the class average GPA in high school.